"Who the heck is B.o.B.?" It was a fair question when looking at the lineup for the Lupe Fiasco show at the 930 Club. Turns out Lupe's opener B.o.B., also known as Bobby Ray Simmons from Atlanta, is the creator of the insanely memorable song, "Nuthin' on You (featuring Bruno Mars)." Even though the new acoustics at the 9:30 Club blare out any subtleties like a starving person at a buffet after a 40-day fast, B.o.B. impressed the crowd with his ability to mix up the stereotypically hooky, overwrought language of the rap genre. His energy-filled set defied expectations of what a rapper is supposed to do. In fact, the sheer variety of his songs surprised me as did his guitar playing. Slow songs? Acoustics? 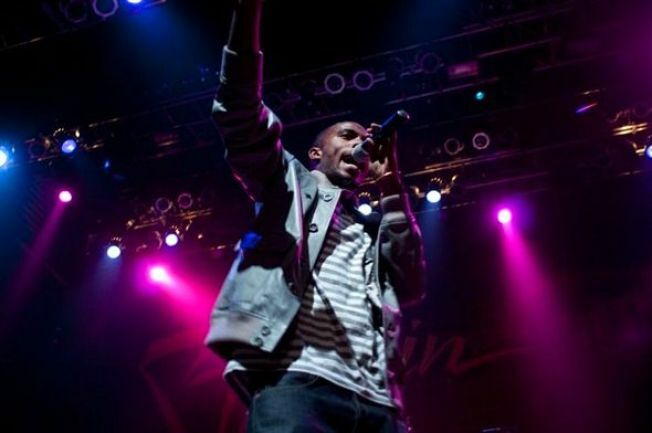 He's a renaissance rapper a cross between the verbally dexterous Ludacris and the catchy John Mayer, but without all of Mayer’s tabloid drama. The opening set was fun and went swiftly. Can’t say the same for Lupe Fiasco Sure, he was the headliner, but it was beyond difficult to understand him, and the lights were blinding -- way over-the-top for a venue as small as 9:30. On several songs, Lupe totally lost the crowd. We saw blank faces and boredom until he challenged the crowd by saying New York said D.C. was terrible. Nothing like inter-city rivalry to get a crowd fired up, but shouldn’t your music be doing that? We're pretty sure the future is with B.o.B. No "one-hit wonder" curse for him.